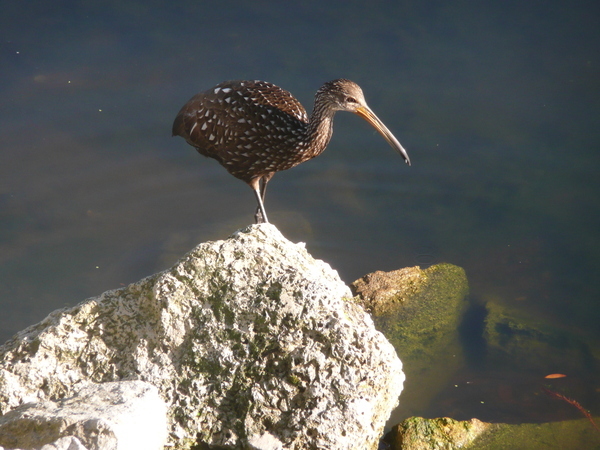 One of the many unexpected joys of visiting the theme parks for me is the bird life which abounds there. If you are not a person who loves the rides then the parks still hold many thrills and fun experiences and not the least for me are the many bird encounters which I have had. First of all let’s examine the many species which you can spot. 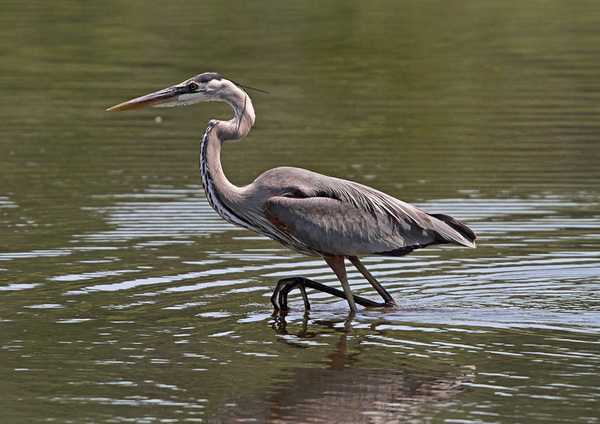 The first one which comes to mind is the anhinga . This is the one which is often referred to as the snake bird because its body is so low in the water that it resembles a snake. 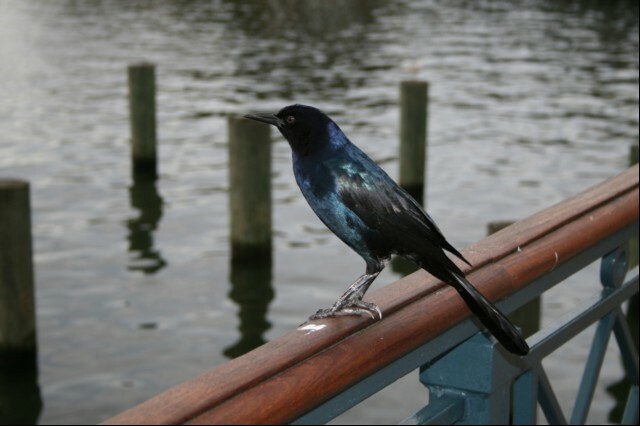 It does not have any waterproofing for its feathers like most water bids so it sits low in low in the water and can often be seen on the edges of the lake at Downtown Disney or round Bay Lake at Magic Kingdom, drying its wings as a cormorant would do. I like the fact that it is the only bird with the same name 3 times because of its uniqueness. It is called the anhinga anhinga anhinga. 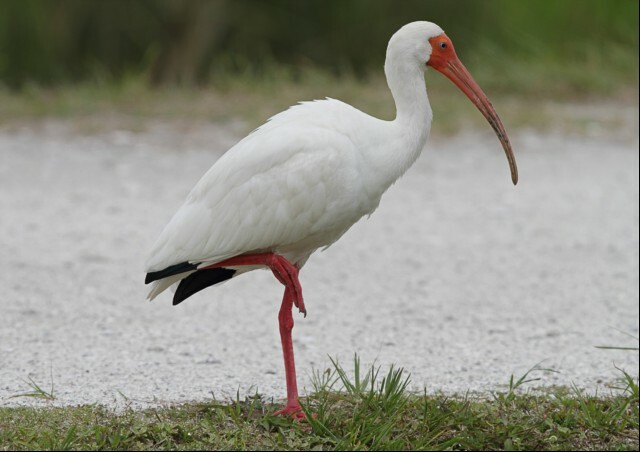 Another bird, which can be seen in greater profusion than the anhinga, is the ibis. If ever you are in Seaworld after dusk, take a walk over to the Anhauser Hospitality area and look at the trees opposite. They will be full of these birds roosting. I think they look as if the trees have been decorated for Christmas. 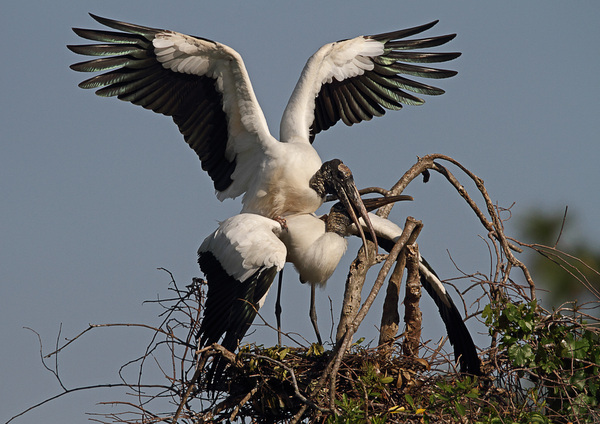 Other birds to spot at Seaworld are the woodstorks and the snowy egrets who hang out at Pacific Point Preserve trying to steal fish from careless tourists. 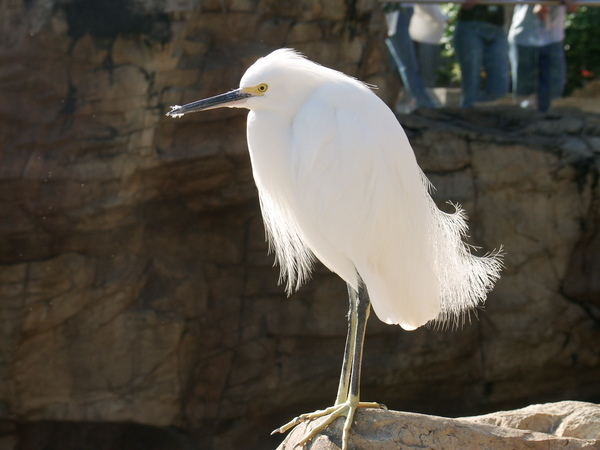 You can often spot tricoloured herons wild at Seaworld as well. In Magic Kingdom I love to watch the ducks, near the rose gardens, outside the castle. 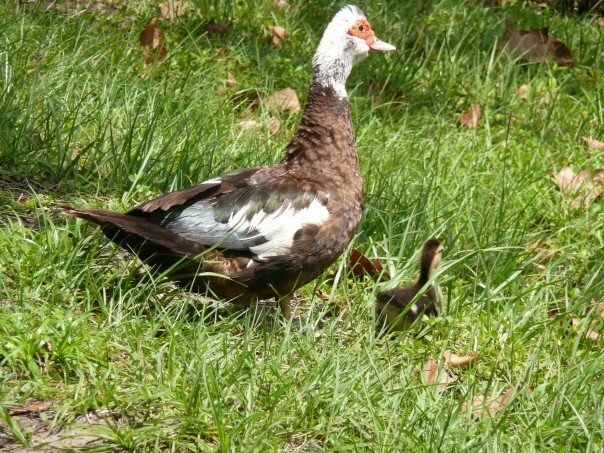 They are especially cute when they have ducklings in tow. 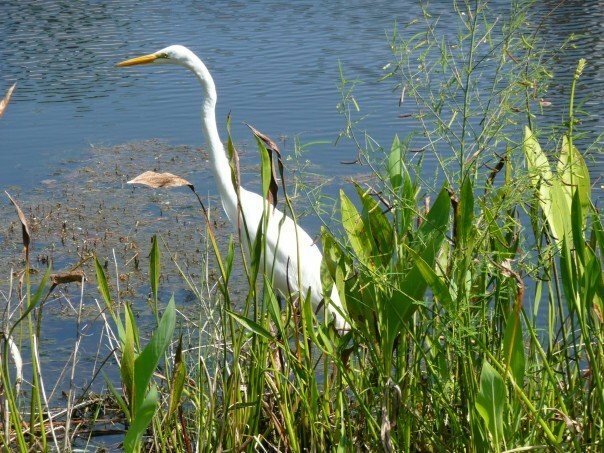 In Epcot I enjoy the great egrets who are often around the lake. I love the way they quiver their necks when they look as if they are stalking something. In Future World outside the Terrace Café Disney sound systems emit the cry of a distressed bird which keeps the smaller wild birds away from the diners so there is never anything in that area. 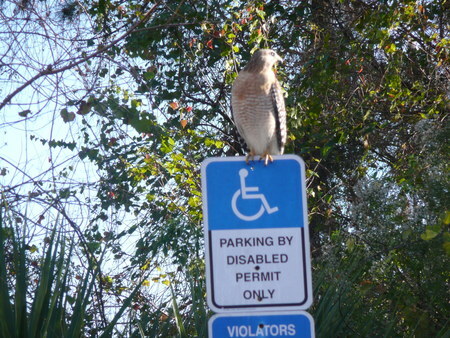 They would become a nuisance if people fed them. Just beyond that area before you get to Mexico there are often a number of water fowl of various types near the bridge. If you do like birds then Animal Kingdom is the place to see plenty both in the aviaries on the forest trail. There is the excellent bird show called Flights of Wonder. 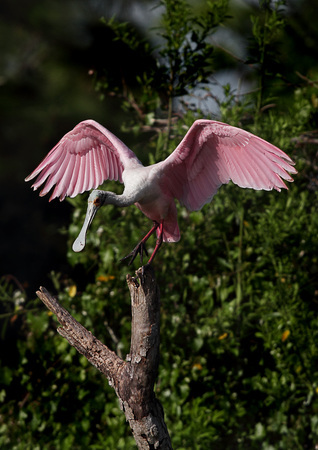 Of course the best places if you are serious bird spotter to see the biggest variety are in the state parks but if you are a sand hill crane fan then just go to Red Lobster at Formosa most nights and you will see them hanging out in the car park! Viewed 4334 times since 1 September 2008.